So while Uni breaks up for summer, here at BIGINJAPAN we're working hard to keep the party going in Bournemouth. Time for some summer tracks - and this week we're definitely all over LE MATOS. Hailing from Quebec, Canada and absolutely huge in their home country, we're sure over the coming months they'll rightly take a place in the UK scene. First up is a remix of BIJ favourites WE HAVE BAND. Check it out. We have a good feeling about summer. 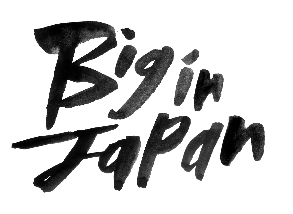 BIGINJAPAN LDN is certainly gathering up momentum - more news to come! Over two years ago - two guys from France landed on BIGINJAPAN'S shores... If you remember their amazing set, you'll know not to miss their latest return to the UK. We're talking about The Shoes, and their next London gig at French Revolution. From the country that gave us Serge Gainsbourg, Vincent Gallo and er, Vanessa Paradis, French Revolution now brings the best crop of new talent and established artists who will sail their way over the choppy waters of the murky channel to come and entertain you, the good folk of the UK. Along with Atom Live, the students music network has teamed up with Oui Love, French new scene promoter, offering two lucky UK students bands the chance to live the rock n roll dream, touring with France’s finest new bands this summer. Oui Love will be hosting a two-legged tour during May across the North and South of the UK. The London leg is hosted by French Revolution, featuring the urban electro of The Shoes and the kaleidoscopic vibes of The Bewitched Hands On Top of Our Heads together with the talents of the frenetic Curry & Coco and the sophisticated chamber-pop of Revolver. WIN 2 TICKETS ON EUROSTAR TO PARIS plus other giveaways!! FREE ENTRY - YES it's true! Live Music Curfew: 12 midnight. After a four year wait, Scissor Sisters are back. Yes... I know. This song's been around for a while now... But... they utterly brilliant Stuart Price remix hasn't (he also produced Night Works). On a slight divergence, SO IN LOVE with their new website. ...The album's out 28th June.